In what has been an offseason with a pace that is charitably called “glacial,” Brewers fans were given an apparent gift this week: Milwaukee was one of the teams rumored to be negotiating with center fielder (and former Brewers prospect) Lorenzo Cain. The news struck to the heart of the constant “rebuilding” versus “winning now” debate among fans, as Cain’s presence in a Milwaukee outfield would almost certainly mean that some combination of Lewis Brinson, Domingo Santana, and/or Keon Broxton will be off the roster for 2018. Common wisdom says that this type of move is acceptable if Milwaukee can use Brinson to land impact talent elsewhere on the diamond, then slide in to a competitive deal with one of the best free agents on the market. It is this latter comment that I want to look at today, as Cain is typically underrated as an option to improve the outfield. The tough aspect of relying on Lewis Brinson, Brett Phillips, and Keon Broxton to make center field work in 2018 is that the position was a weakness in 2017. Although many Brewers fans and analysts typically write off the offense and fielders as solid enough, the Brewers were indeed below average in terms of park-adjusted runs scored in 2017, and center field was one of the reasons for their inability to produce on offense. In fact, according to Baseball Reference the Brewers employed their center fielders for the fewest number of plate appearances among any position (636 PA), and the team’s .229 / .304 / .405 batting average / on-base percentage / slugging percentage performance was tied for the worst position on the team. Against league center fielders, the Brewers registered an 85 Split OPS+, meaning that the club’s center field position was approximately 15 percent below average compared to National League center field. While it is easy for fans to dream on the eventual superstardom of Brinson or the high-floor depth offered by Phillips, it is difficult to write this duo in for a guaranteed, let alone probable, improvement if they are handed the reins for 162 center field games in 2018. On the latest Milwaukee’s Tailgate podcast, Ryan Topp made a similar argument, emphasizing that if Brewers fans are ready to run with Brinson and other young players, fans have to be ready for growing pains at the MLB level. In short, center field is one of the clearest weaknesses remaining from the 2017 club. 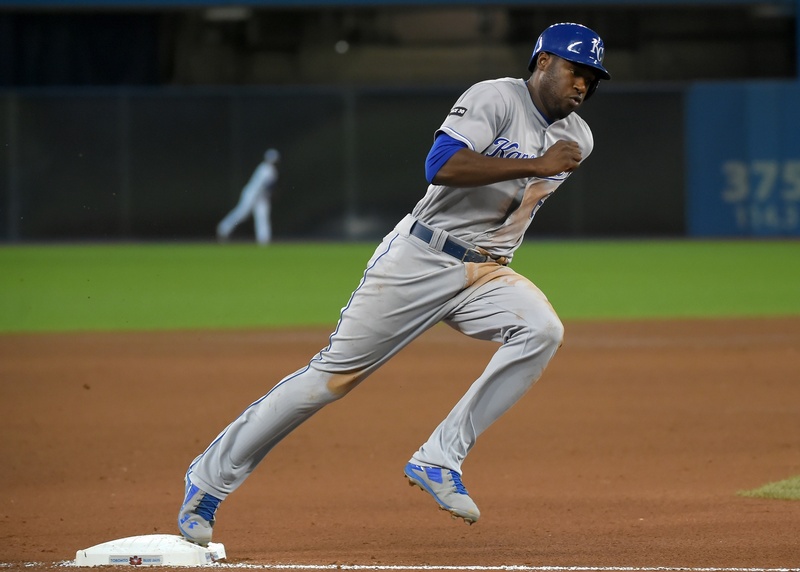 Lorenzo Cain immediately changes the outlook of the position, however, as the veteran offers elite fielding and average-or-better hitting for an impact package in the center of the grass. In fact, Cain is arguably the best overall free agent in the current class, and almost certainly the best position player free agent when assessing free agents by their three-year depreciated surplus value (which monetizes Wins Above Replacement Player (WARP) while depreciating three-year performance by 10 percent per year in order to replicate an aging curve and nonlinear player development). I provided surplus tables in my introduction to the offseason, but it bears highlighting Cain’s strength. First, assessed by his 2015-2017 performance, Cain is the best free agent in the 2018 field. But, even if one is concerned that Cain’s 2015 and 2017 seasons weigh too heavily in this equation, it is worth mentioning that Cain is the second best free agent in this field (second only to Jonathan Lucroy) based on his 2014-2016 performance as well. One can anticipate that the major complaints about Lorenzo Cain will concern his age. Cain played his age-31 season in 2017, meaning that even a three-year free agency deal will need to cover his age-32 through age-34 seasons. Given that fans and analysts have an aversion to an aging curve that requires paying premium dollar to players on the wrong side of 30, Cain seems like an obvious pass by a small market club such as Milwaukee. However, I believe that this type of aging curve thinking is a bit too orthodox, and does not highlight the fact that certain players have different aging patterns that can be discerned from their performances. For instance, at age-31, Cain’s .280 True Average (TAv) and 19.5 Fielding Runs Above Average (FRAA) drove a 5.6 WARP performance, which is the only 5+ WARP season by a center fielder in their 30s during the new Wild Card era (2012-2017). I have used this assumption to design detailed assessment of Ryan Braun’s aging patterns, and I hypothesize that the same approach could be used for Cain: once a player demonstrates elite production after age-30, they are on a different aging pattern than the one commonly suggested for all players. Since center field is such a loaded position in the current MLB landscape, fans and analysts may not think of Cain as an elite center fielder, but the age-31 performance in 2017 was the best since Carlos Beltran’s 2008 and Johnny Damon’s 2005 (Baseball Prospectus CSV, retrieved January 5, 2018). A detailed search of center fielders in their 30s since the turn of the century demonstrates that this position is indeed one at which players can age and perform well; this is obviously a blanket statement that may not precisely track Cain deep into his 30s, but rather a call to understand that there may not be a typical aging curve among athletic center fielders. All of this may seem futile as the Brewers’ rumored interest in Cain is nothing more than that, but the rumor itself provides an interesting opportunity to consider the composition of the club. With $50 million in additional MLB Advanced Media revenue due to the Brewers in spring 2018, and a slow free agency market leaving many impact players on the market, Milwaukee has a fantastic opportunity to immediately shape the best possible roster using their revenue, impact prospects, and system depth. Should this cyclone of free agency signings, development at the MLB level, and trades involve Lorenzo Cain in some way, shape, or form, the veteran outfielder’s return to Milwaukee would mean that the team has nabbed an elite free agent and immediately improved their center field outlook for fielding, production, and batting order discipline and contact.